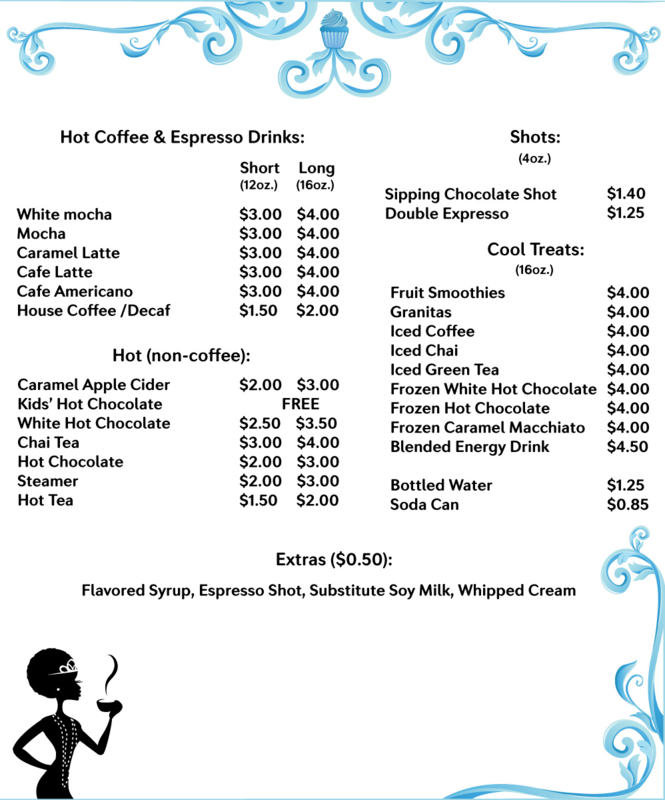 Try our delicious selection of hot and cold drinks. Couture Cakes by Nika specializes in gourmet cupcakes and custom designed cakes that taste as good as they look. Frappes, Smoothies, Gourmet coffees and teas are also available.